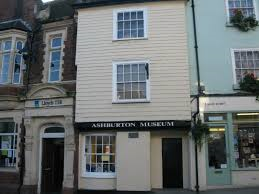 Ashburton is fortunate to have its own museum in the town centre in a building which was once a brush factory. Unfortunately not much information survives regarding the history of the brush factory but there is, however, a lot of fascinating exhibits spread over 3 floors which help bring alive the local history including tin mining, the woollen industry and, of course, the everyday townsfolk. So we would love to hear from you or even better, why not come and see us. The museum is managed entirely by volunteers and is funded by voluntary contributions.